Today, I present to you a video cumedy from a top African Comedian. He is known as Clint the Drunk. All you need is click on the video to watch and laugh your way to pure happiness. Have a pair of airbags around your ribs though. Please do not mistaken this for an advertisement for Nissan vehicles. I had to choose this title because of what I saw one of their vehicles do. 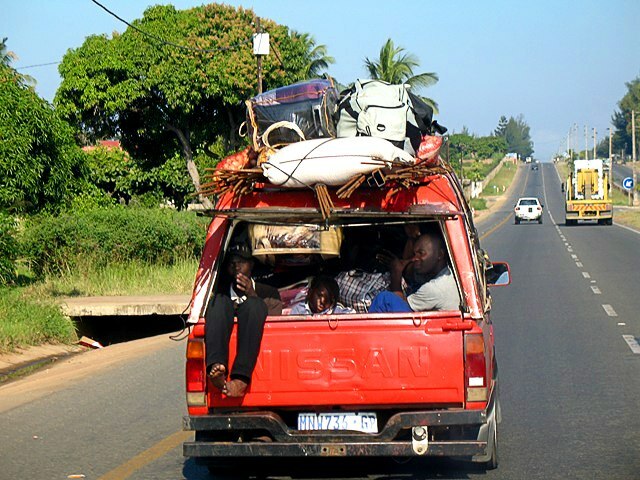 I am pretty sure that the Nissan designers and producers never knew the real capabilities of this vehicle until it got to Africa, a continent where everything and everybody is put to maximum usage in various ways. This is a video comedy from two of Africa’s best comedians. I hope you enjoy it. Just click on the image to watch the video. Have fun. For our regular visitors to this blog, I am very sure that I do not need to introduce Hon. Patrick Obahiagbon from Nigeria. I can only remind you all to have some Aspirin and a cup of water by your side as you watch this video of him. Please click on the photo to access the video. Posted in Cumedy, Humorous Video, Humour, Jokes, Unbelievable, Video Comedy.